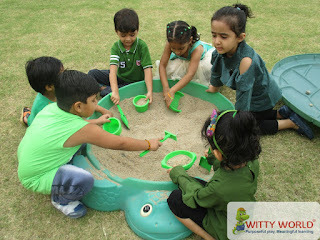 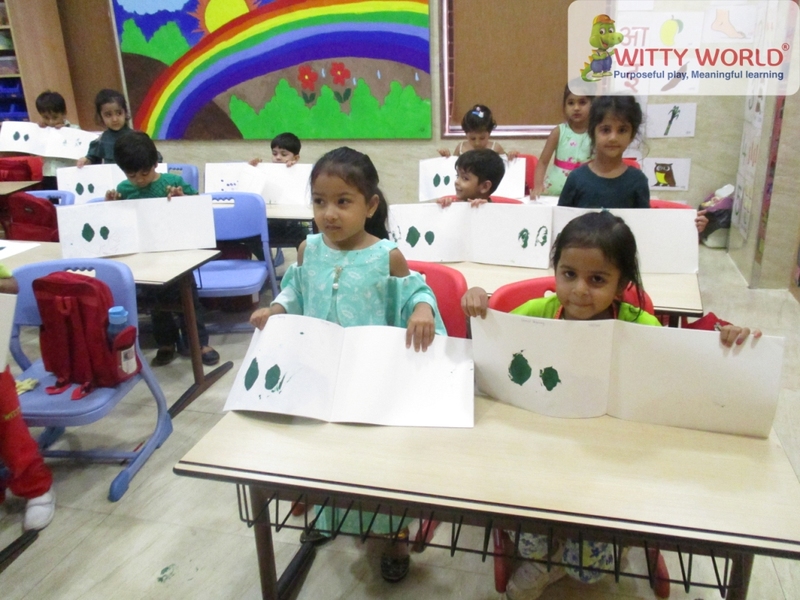 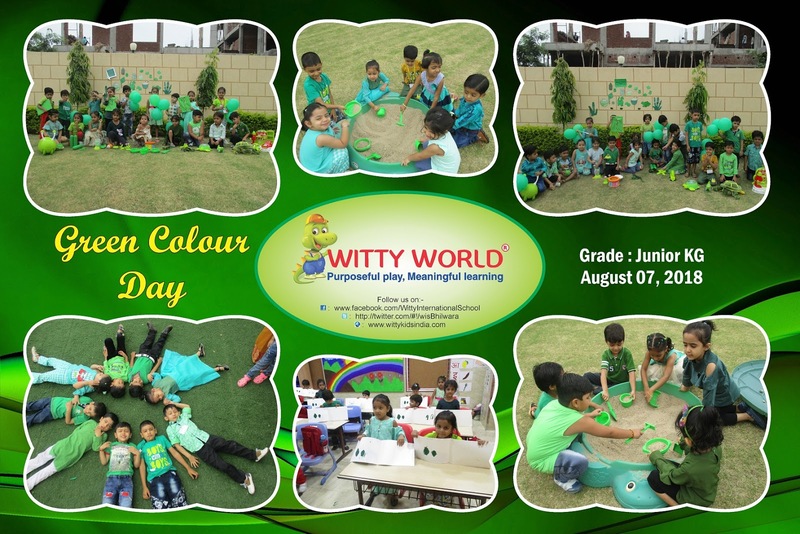 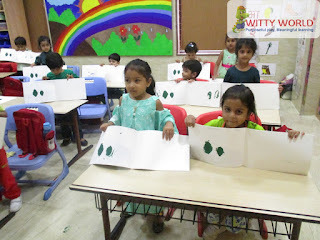 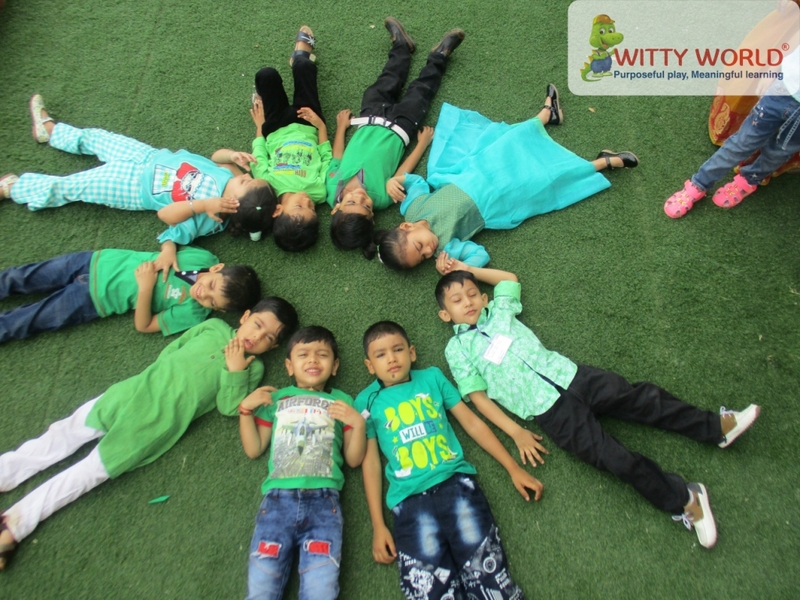 The little Wittians of Junior KG at Witty World, Bhilwara were brought near to the nature by introducing, showing and explaining Green colour to them. The kids celebrated Green colour day on Tuesday, August 07’ 2018. 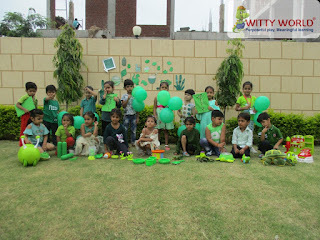 They came dressed in green colour and learned the concept of green being secondary colour, a mixture of two colours that is yellow and blue. 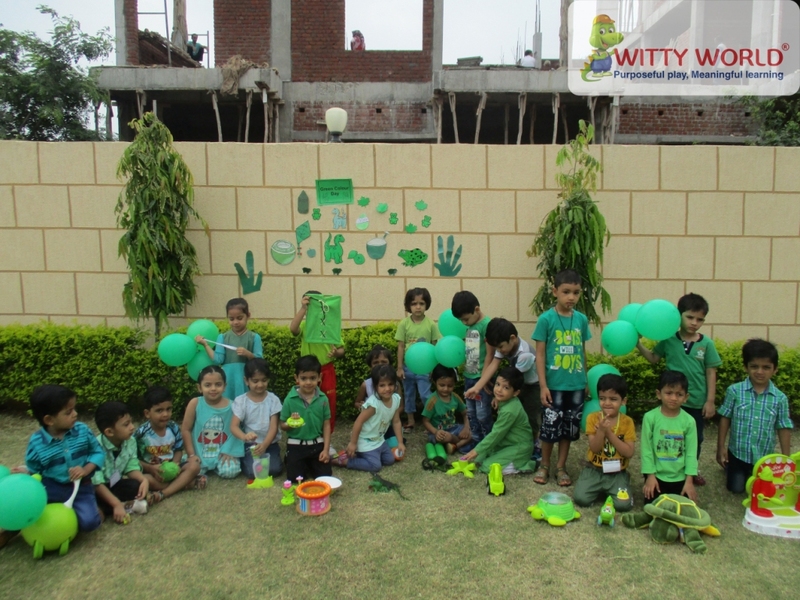 The walk in the nature and green colour has put a long lasting impression in the mind of the kids.